ReadyTV has decided to make Portmore their home. This was recently revealed during a thanksgiving ceremony at the Portmore Gospel Assembly, Passage Fort Drive, on Sunday, February 26 2017. Two ministers of government — Senator Ruel Reid, minister of education, youth and information, and Dr Andrew Wheatley, minister of science, energy and technology – were on hand to support the fledgling startup push into Portmore. 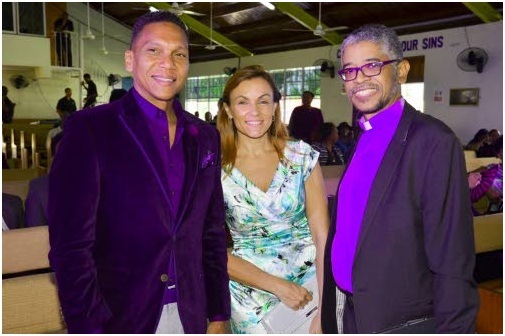 The gathering included members of the Portmore Gospel Assembly, specially invited clergymen, and gospel singers Kevin Downswell and Desi-Ann Yetman. There was a very large turnout that included a lot of Portmore residents, who welcome the company with open arms, to quote Ready TV CEO Chris Dehring: “We have made Portmore our home and you have welcomed us, and I am extremely grateful to the Portmore community for allowing us to come into your homes. This company is going to be an engine of growth and industry in this country. It’s a special day for us, and we appreciate you wanting to be a part of what we plan to do”. Dr Wheatley, who represents a neighbouring St Catherine constituency, dropped a lot of details about ReadyTV, which plans to roll-out fully by the end of March 2017, dropping hints that ReadyTv may also be doing 4G LTE, quote: “Ready TV epitomises our government’s vision of getting all Jamaicans on board the internet. Traditional methods of broadcasting across Jamaica have placed many Jamaicans at a disadvantage, especially in rural areas, but Ready TV will ensure that all Jamaicans have access to the service”. He pointed out that the Wireless HDTV Broadcaster and potential 4G LTE provider will provide service to some 65% of the people of the community of Portmore by the end of 2017. This will definitely improve access to the Government of Jamaica’s free websites as I’d pointed out in How Jamaicans on FLOW and Digicel access GOJ Websites without a Data Plan. And it’ll be a lot like JPS Co PAYG (Pay as you Go) Prepaid digital Meters, with customer being provided with a prepaid credit card to purchase content instead of having to pay a bill. However, based on some research as well as a tip-off from a friend within the Towers, located at the Dominica Drive, they actually plan to use GraceKennedy’s MPay service to allow customers to pay their bills. GraceKennedy MPay had recently launched their services on Wednesday February 7th 2017 as I’d reported in GraceKennedy Money Services launches GK MPay Mobile Money. So why choose Portmore? And how will their service work? Chris Dehring revealed as much, as Portmore is a very good place to start to challenge the Wired Cable industry with wired HDTV, quote: “It’s a large market and it makes sense to set up ourselves here first”. 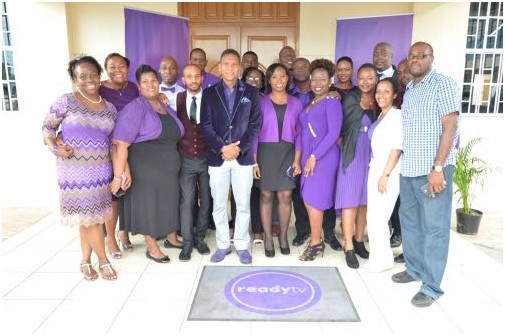 So will ReadyTV be a game-changer for the Jamaican Cable Industry? Stay tuned and ReadyTv comes to Portmore at the end of March 2017 with Gracekennedy MPay support.